Kimball Physics designs and manufactures two types of particle detectors: Faraday cups and phosphor screens. 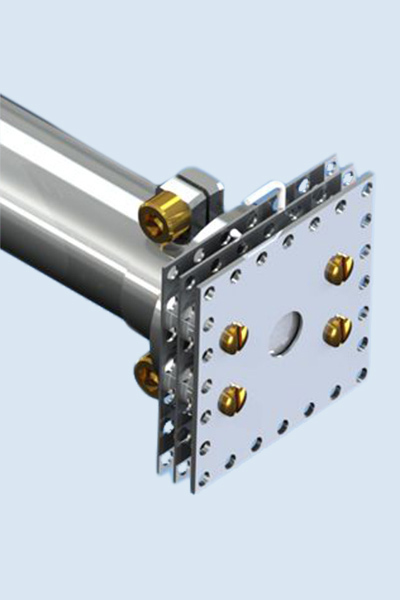 The basic Faraday cups are stand alone units with no moving parts and are intended to be mounted in the vacuum system. A number of different types of mechanically or pneumatically actuated Faraday cups are available; most of these mount directly on the housing of electron guns, for direct sampling of the beam. Phosphor screens are made of high luminosity P-22 phosphor (ZnS:Ag). The screens are sensitive to electrons starting at approximately 500 eV with a threshold of 1 x 120-7 A/cm2.